I’ve written more than once about how difficult it is to eat out on a restricted diet. The task becomes even more difficult when you need to entertain for business purposes. You can’t very well take business associates to a salad bar. I recently had my workplace team together for planning meetings in Chicago (two of them normally work in other cities) and so I searched for somewhere to take them for a nice lunch. Luckily, one of my favorite Chicago spots, Sepia in the West Loop, worked out very well for them and for me and my restricted diet. Sepia emphasizes local and seasonal foods, done simply but elegantly and with wonderful flavor. 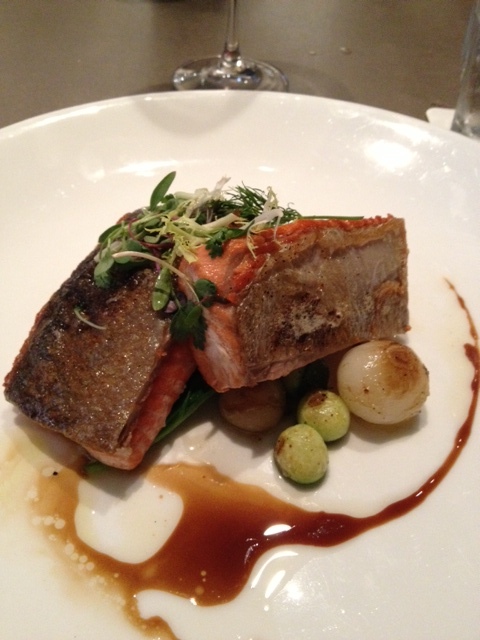 I was able to order a wonderful salmon dish there. Done very simply over a bed of kale, it was so nice to be able to eat something at an elegant place without too much worry about my diet (the kale did taste a bit salty to me). The point here is you can find a nice place for business, or pleasure dining, look around.